Three nitrosourea derivatives have been shown to be active against malignant brain glioma. The EORTC Brain Tumor Group is concerned with the therapeutic effects of one of them — CCNU (1-2-chloroethyl-3-cyclohexyl-l-nitro-sourea) — on three clinical parameters; total survival time, objective remission rates and free interval between surgery and relapse. To meet the difficulties encountered in measuring these different criteria two parallel trials uere performed. 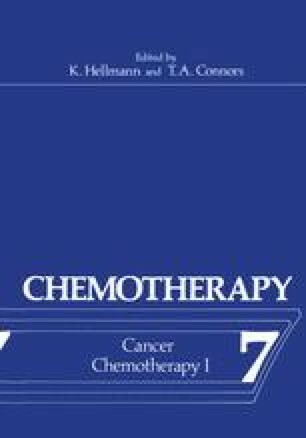 The aim of trial 26741 was to study the rate of objective remissions and free interval, the purpose of trial 26742 was to measure the effect of CCNU on survival time.